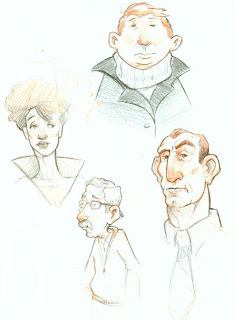 It’s been a little while since I posted anything, so here are some random people sketches from a little while ago. It is always crazy the variety of people you see while riding bart. Hey is one of those David Bowie from 1974? how sexually ambiguous. Next post: When pigs fly…… or at least try to!